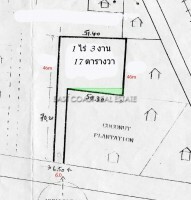 Land for sale on Soi Nongabok. 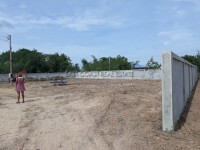 This piece of land is easily accessible from the main road and has immediate access to both power and water. This large plot of land is 2 rai and 13 sq Wah. It is close to schools, Temples, golf courses and markets. It is approximately 2km to Sukhumvit and only 4km to the beach. Title is held in Thai name and Tax/Transfer is split 50/50 between buyer and seller.